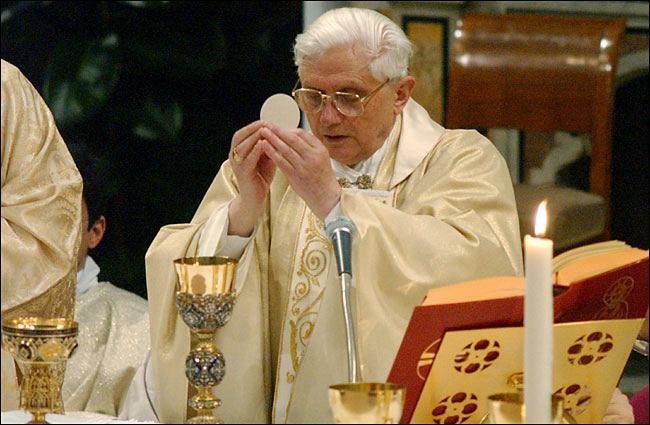 If you are here, in body, spirit and mind, you are everywhere that Holy Mass is being celebrated at that very second the Priest consecrates the bread and wine into the Body and Blood of our Lord, giving Him all the glory and honor! When you are IN the Eucharist, you are in God’s time. You are in God’s holy presence, with Him, everywhere. Thus the reason to keep clean and receive Him in the state of grace. Places you never knew existed. You are present through Him, with Him and in Him. My last post Assumption of Mary, sparked some deeper thoughts in regards to the photos of a church I posted. A very beautiful place located in the Julian Alps in Bled Lake Slovenia. 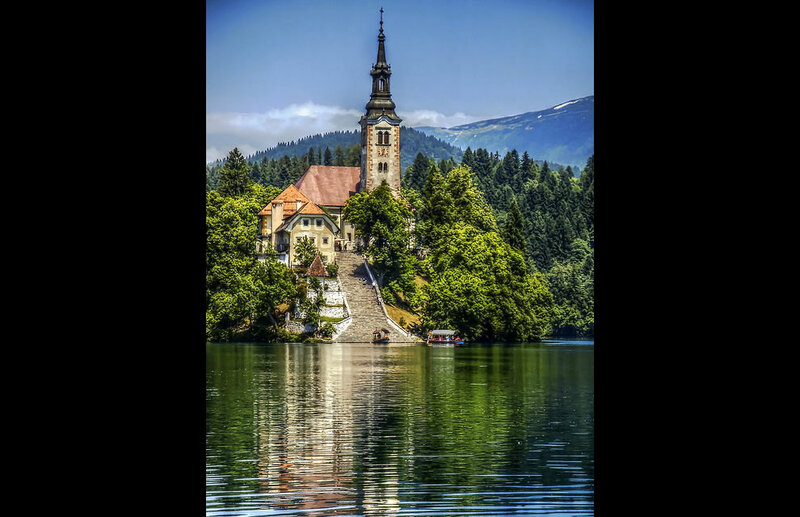 The area was carved from glaciers leaving picturesque views with a beautiful lake, and in the lake, a small island that in the 1500, a Catholic Church was built for the Glory of God and in honor of the Assumption of Mary. It goes so much deeper then “this looks like a good place to build a church”. So much deeper. It took centuries of Divine Providence, to create the glaciers, carve out the mountains, plant and grow the surrounding forest, fill the lake, leaving room for the island, filling many souls with the good news of our Lord, going fourth and spreading the gospel, many of which became Martyrs, souls growing in faith in Christ, to identify a tiny spot, beautiful enough to honor Mama Mary and her Assumption into heaven. This is but a sliver of God’s love for her, made known to the world for doing His will. When I found the photo, I desired nothing more than to go to this place. Definitely placing it on my list of places I had to go! Realizing in a very shot amount of time, with a smile, in prayer, I have been there. Many times. Before pondering this, I fell for the natural beauty of this place and as it pulled me into a deeper understanding of God’s love for her, made me aware of God’s love for us and how it’s so visible in every aspect of His creation. He takes the natural and joins it with the supernatural. Not only did it take Him centuries to create a beautiful place to honor the Mother of our Lord, but we share in that beauty, by simply being present at Holy Mass. Present meaning in full communion with Mass. In total concentration in prayer on where we are and not what we will be doing after Mass, all so we can be TOGETHER with Him and the Holy of Holy’s in His body, the Eucharist! Since the Beginning! 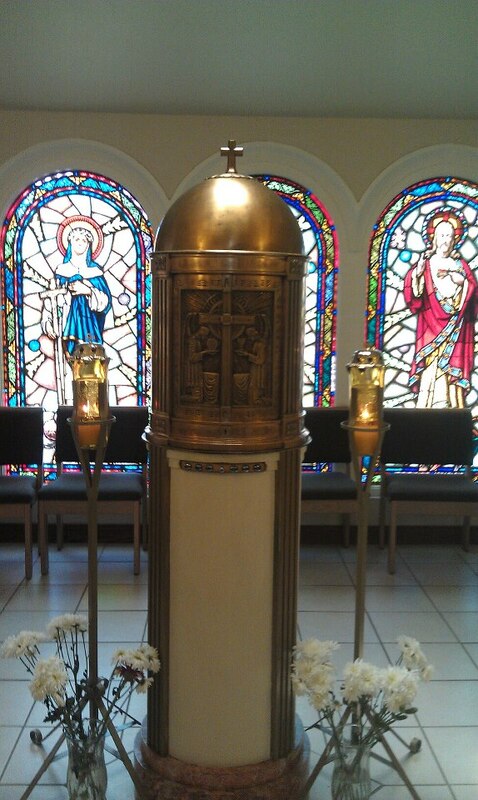 How beautiful it is to know, that every time you truly attend Holy Mass, you are here. Oh how wonderful the “Interior Castle” truly is. still in exile, giving the Glory to God.